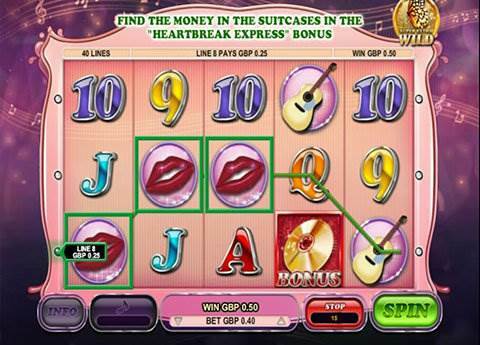 The slot machine Dolly is a well-made tribute to the fantastic country singer Dolly Parton. 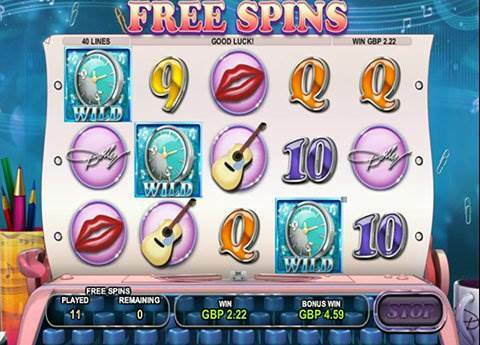 The slot machine features many different bonus games, and you can listen to catchy Dolly Parton tunes while playing. The game is a lot of fun to play, especially as you can listen to the music in the background. The slots biggest advantage is the variety of different extra symbols and bonus features. You can get expanding wild symbols, a regular wild symbol, and three different bonus games with free spins and exciting features. The expanding wild is a picture of Dolly. When it appears on a reels, it expands onto all three fields and replaces other symbols, except the bonus game symbol. It is also possible to get more than one of these at the same time. The butterfly super extra wild is a special random feature. When it is triggered butterflies land on reel 4 and 5 fields, and turn them into wild symbols. The bonus game "Dolly's Wheel of Wealth" is the bonus game that starts, when you get three bonus symbols anywhere on the screen. In this bonus game, you can trigger three different bonus features. 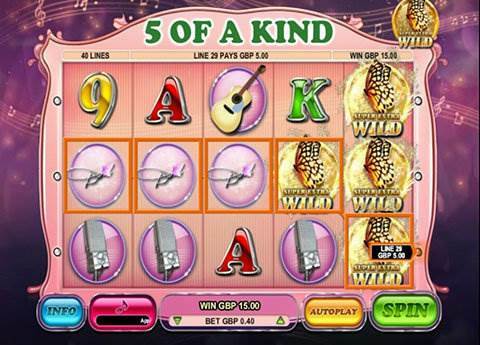 In the game "9 to 5" you can get up to 15 free spins with multiple sticky wilds. In the "Heartbreak Express" bonus game you have to open suitcases to win money. The game ends when you open a case with the word 'Collect'. In the "Dolly's Albums" bonus, you have to collect her albums to win instant prizes. The Dolly slot machine has 5 reels and 40 paylines. You can select the bet size by clicking the small arrows. The minimum wager is 0.40 €/£/$, i.e. 1p per line, then the wager increases in small steps. The maximum wager is 200 €/£/$. The game also has a juke box where you can listen to, and switch between, Dolly Parton songs. Of course, you can also switch it off. Automatic play is also possible, and you can select up to 50 automatic rounds. See below the features of the Dolly slot in action.